Tom Davenport is part of the DNA of Motion Textile. A 75+ employee shop with a 50,000 square foot facility in California, Motion Textile is known as one of the industry's standard bearers for contract printers. Focused on "high-volume handmade" contract screen printing, Motion Textile's clean branding and relentless pursuit of better print quality led to a recent acquisition by one of their earliest contract clients. The transition to new ownership has been deliberately slow, allowing Tom to dig in to the problems he could never handle when he was only concerned with getting the next big order out of the door. Tom Davenport regularly writes for The Ink Kitchen. The tasteful, clean, and resonant aesthetic that Tom helped create for Motion Textile's branding telegraphs everything you need to know about Tom and his business: purpose, quality, and simplicity are paramount. Eric Koston won Thrasher's coveted Skater of the Year in 1996. He's pictured at Venice Beach here. Tom grew up in Sacramento, CA. During the mid 90s, Tom's love was punk music and skateboarding. He looked up to an elder skateboarder in his neighborhood that was a screen printer – and he wanted nothing more than to learn to print awesome punk band t-shirts. He started as a screen cleaner and eventually worked his way onto the manual press. From there, he relocated to Oakland and worked at Cinder Block, a defunct music merchandising company from the 80s and 90s (think Green Day, Smashing Pumpkins, and Rancid). At Cinder Block, he got a taste of the contract printing lifestyle: high volume jobs that take days to print with the t-shirts taking up thousands of square feet. He spent about a year working in that $50M yearly revenue contract facility, and it set the standards for his expectations. After another relocation, Tom worked with the boss that gave him a valuable learning experience. Only it wasn't that this boss was a great boss – he was a terrible boss. "The owner did everything the wrong way. It was really helpful. I would think, 'What would he do?' and then do the opposite of that." One day, Tom showed up for work and the facility's doors were locked. The owner's wife dutifully wrote the employees their final checks, took them out for lunch, and Tom never saw her again. Luckily for Tom, he had acquired a small collection of screen printing equipment. Tom loved printing enough to pursue it as a hobby during his free time: he wanted an art studio to work in during the evenings. He'd purchased a small manual press, an exposure unit, and a basic dryer. Soon, the phone began to ring. Customers from the print shop that had been shuttered needed help. Tom was able to do a little bit of printing for them, but realized it was time to start his own business. Pro: You don't need much money. Pro: You're willing to take risk, and don't have much to lose. Pro: You have tons of energy. Con: You have zero experience. Con: You know the trade, but not the business side. Con: You're learning life: how ugly, brutal, and amazing it is. What would Tom do differently if he could start Motion Textile today? "I would have had more direction on who we wanted to be as a company. I knew what I wanted it to look like. I wish I had known to have some clarity of vision about who we wanted to print for." Who is your target market? When Motion Textile started, they printed for everyone and anyone. This worked in their favor in the short term. They were small and nimble enough to be able to diversify and quickly change direction. But in the long term, it meant a lack of identity about what kinds of clients they wanted to print for. 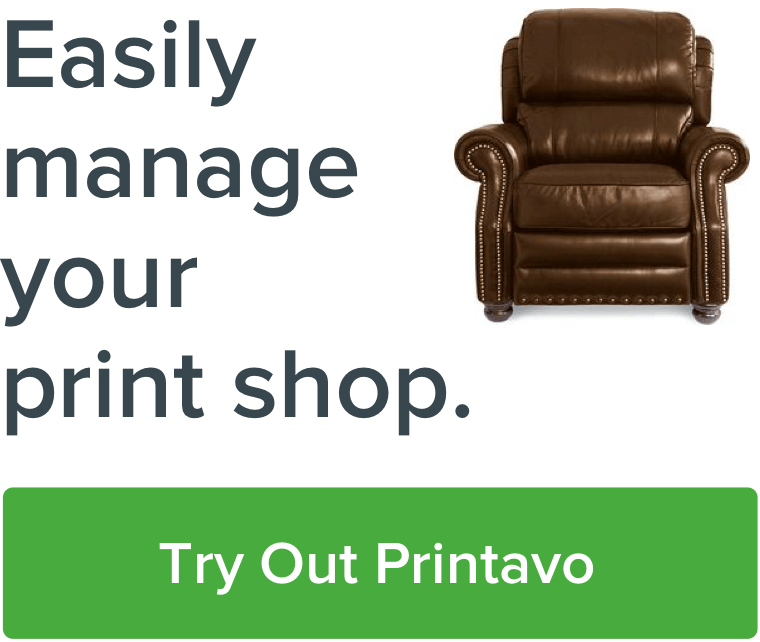 Print shops, like all businesses, have limited resources and have to make the most of them. The primary schism seems to be shops that focus on sales versus shops that focus on production. Motion Textile has always been focused on production and technique ahead of sales – so much so that they've referred potential custom printing customers straight to the print shops that Motion Textile contracts for. "Early on, we referred out sales to our customers. That really served us well. We built strong relationships with the shops we were contracting for." Tom's not against drawing up a "serious, comprehensive business plan," but he's never personally done it. "I always had the facility in my head. It's a beautiful state-of-the-art 50,000 square foot facility." Because of that focus on the facility and production quality, "[we] focus on being a great print shop and providing great services at a higher and higher volume." How do you get started contract printing? First, recognize whether it's an interest and a strength in your shop. Are you focused on sales and marketing, or are you a nuts-and-bolts process-oriented shop? Contract printing isn't easy (Tom likens it to working in a restaurant's kitchen – high stress, high speed, high pressure), and Tom knows it: "Any contract print shop doing over $1M a year on pure printing services [is doing something] very, very difficult." So where should you look to start with contract printing? Most make about 50% of their revenue from apparel alone. Merchandising firms in the music business. It's changed a lot in the past 10 years, but there's still opportunity. But: if technology, process, and project management are your strengths – contract printing is a lucrative option. You'll lose much of the sales, marketing, and customer service aspects of the business. For some that's a pro, for others that's a con. Motion Textile is proof that a focused effort on quality and production capabilities can be lucrative and rewarding. "I'm about product. The new company [that bought us] is bringing in resources, talent, and skills I did not have access to. It's the best possible way to achieve Motion Textile's goals. The first and foremost thing was: 'What's best for the organization?'" Why Tom sold the business: He'd actually had the idea to sell Motion Textile in his mind for some time. Not that he wanted out – "I'm part of the DNA of this company" – but he knew that in the long term he'd like to move on to something else. How the process went: In an interesting twist of fate, the #2 customer that Motion Textile ever printed for wound up purchasing the business. "It took about 8 months [...] this was never going to be a turnkey sale. There's a transition out. Maybe even 1 to 5 years." Tom saw eye-to-eye with the people that wanted to buy Motion Textile from the very first tour he gave them. Tom's new role in Motion Textile: Moving from "owner" to an untitled role as inside consultant has actually allowed Tom to get into more granular aspects of the business. He's not involved in the day-to-day operations (like making sure jobs are printed on time), but is instead focused on solving problems. "It's hands-on, but not in the weeds. For example, we developed a system for cataloging, repairing, tracking, and replacing our platens. We have hundreds of platens, but no inventory. We went through a process of barcoding and tracking them. Something like that gets out of control over the years, and it has a real impact on presses, employees, and print quality. If you're worried about ship dates, you'll never get into the nitty-gritty that impacts whether you can actually meet those deadlines and print those jobs." Tom was remarkably candid and open about the troubles he's faced with Motion Textile over the years. At one point, an internal implosion among staff nearly killed the company. After years of 20% year-over-year growth, the company moved, downsized, and was forced to lay off a few staff members. What happened? Tom planned a huge expansion. It was his full-time job for nearly a year – the plan was relocate from 3 separate facilities into one larger building. But in the process, Tom had lost touch with his people. His production staff was miserable and in conflict with management, and Tom was totally oblivious. In the meantime, the culture and vision for Motion Textile had gotten lost. "I assumed I could set up a new space and employees would 'get it' based on the space. They’d see it and start behaving differently. But that’s not how things work. It does go a long way, your aesthetic. But it’s more effective externally. It doesn’t affect your employees the way you think it does. You need to actually communicate culture and vision. It never ends. You [have to] force it every day." What would Tom do differently to avoid this same problem? Get buy-in from the entire organization. The real problem was that Tom was trying to shift the business from a "garage mentality" to a "professional manufacturing mentality," but didn't effectively communicate it. In hindsight, Tom says that talking about culture and vision with all of his employees should have been his focus. Tom says he looks outside of the industry for inspiration. Not because there's a lack of inspirational figures (that's definitely not the case), but because people outside of the industry can offer transferable insights into operating at a very high level. Marco Pierre White, British Chef and author. Famous for earning the coveted 3 Michelin stars during his youth (and then rejecting Michelin outright later), Marco Pierre White's insights into running a kitchen that puts out incredibly coveted food transfer into screen printing. Tom sees similarities between restaurant work and screen printing: "[He's all about] operating at a high level while building extreme levels of quality. Plus he made Gordon Ramsay cry." Karl Lagerfeld, German fashion icon and creative director at Chanel and Fendi. Lagerfeld, who passed away in February at 85 years old, was known for his extraordinary work habits and forceful creative vision. He worked late into his life despite progressing illness, and was widely revered for his ability to execute his ideas. Tom is also close friends with Rick Roth, owner of Mirror Image and collaborator on The Ink Kitchen. Motion Textiles occupies a position in the industry that few can claim. They are a powerfully branded print shop whose purpose is not to appeal to the traditional screen printing customer. Instead, they play up their professionalism and top-notch quality in a way that sends the right signals to contract clients: a clean, cutting-edge facility and a laser-like focus on fulfilling their clients’ exact needs. Motion Textiles online presence isn’t just well-considered. The branding is downright beautiful. The artistic video portraits of the shop that Tom narrates manage to set the tone perfectly: Motion Textiles has turned screen printing in high volumes into an organized dance of speed, quality, and humanity. Thanks to Tom for taking the time to talk to us about his shop, his growth, and the challenges he's faced. Motion Textile is a story of being in the right place at the right time – and working hard to take full advantage of the opportunity. Tom's focus on quality products has served him extremely well, and delivered millions of beautiful prints to people across the world.